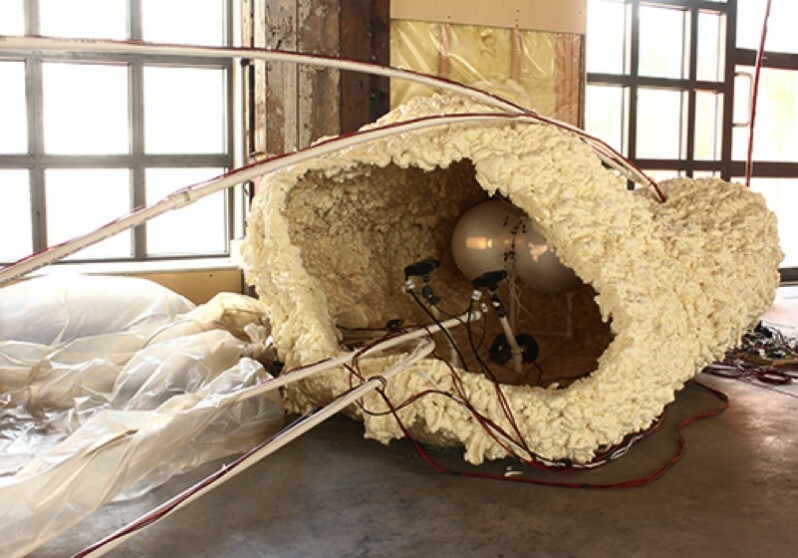 This artwork was featured in the International Pavilion which was open to the public between June and October 2014. 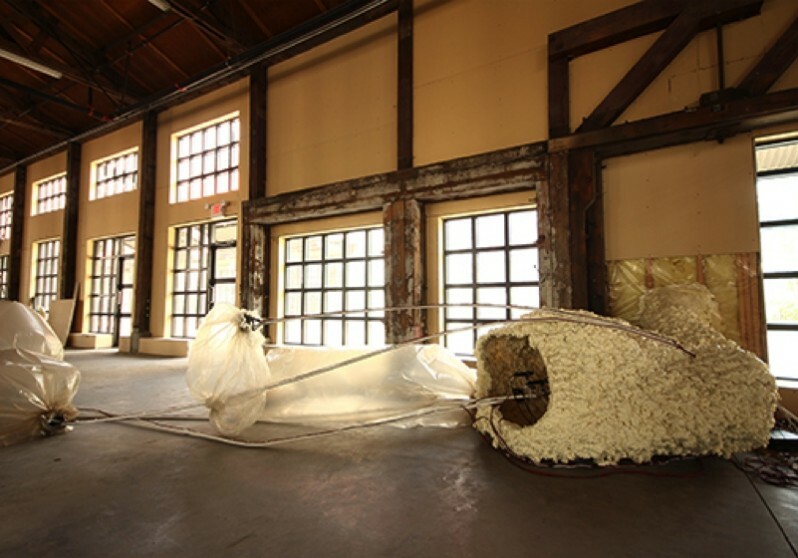 In her 2014 residency installation Mas (vasos de vidro branco) / Yet (white glass vases), Manhães employed electrical elements and animatronic devices to create a mechanical/robotic sculpture which was specifically designed for the exhibition space and situated emerging from the building. 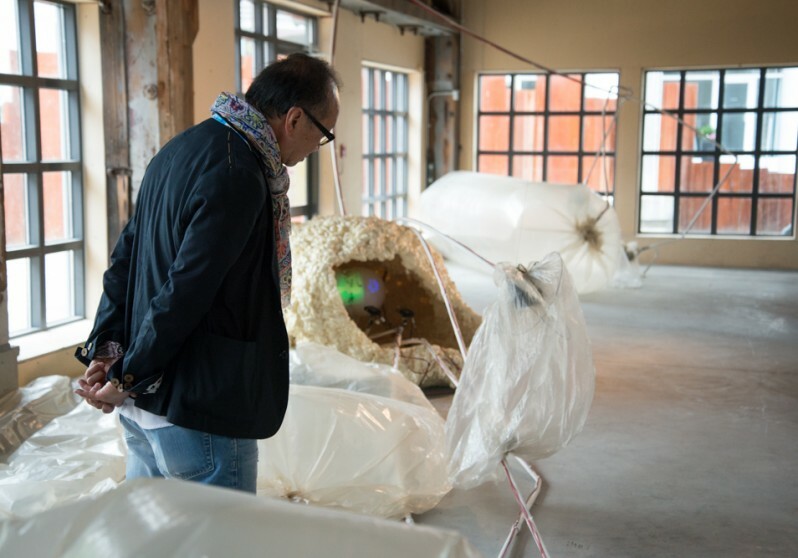 The installation and the viewer embarked upon a symbiotic journey, as Manhães’ set of programmed audio-visual stimuli invited passersby to explore. 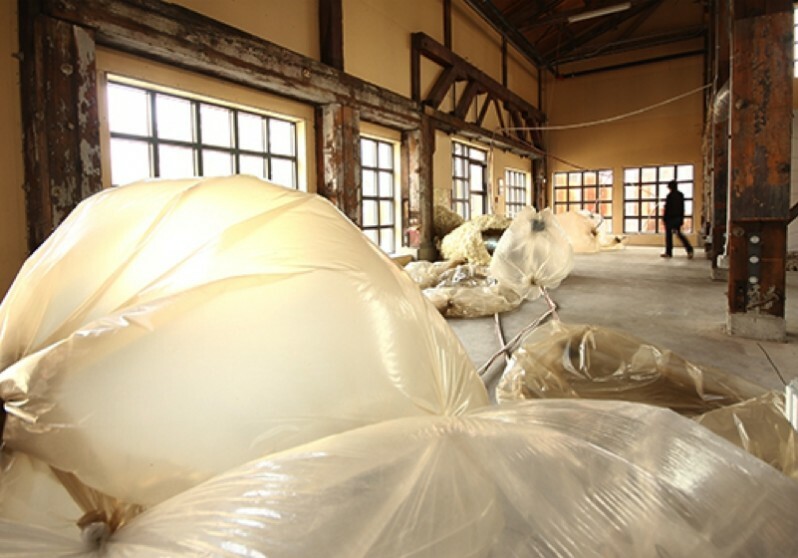 As the viewer passed through, filmy plastic bags filled with air and deflated like lungs, seemingly at random. Two projectors emitted looping images of shadowy figures, and, in the background, indistinct speech could be heard. Central to this site-specific work was Manhaes’ concern with communication. While the speech sounded familiar, it was, in fact, an imaginary language, devised by the artist and which created a sense that something had been lost in translation. Unlike the physical components of the work, which were exposed to the viewers, the origin of the speech was nebulous, impossible to place. It was this struggle to communicate, pushing at the borders of art and language, that gave the work its approximation of life.